Welcome to the final post in this series focused on better understanding some of the most widely used gameful design elements! This post will address progression, one of the basic design elements to help foster users’ intrinsic motivation from competence and mastery. If you have not done so yet, check the first two posts of the series out before you continue, the first one in particular, as it presents some important background on what is needed for a system to afford a gameful experience. Progression is one of the important gameful design elements, which leads users to a feeling of mastery and accomplishment. It can be represented in games and gameful application in many different ways. Progress bars and levels are two of the most common ways of representing progression. But other mechanics can also be used, e.g., badges or achievements, unlocking new challenges, among others. A progress bar: a common way of measuring progress. Balance between the perceived challenge and the perceived level of skill needed. Challenges are essential to provide the first condition while progress is essential to provide the last condition (and to some degree, also the second). Progress tracking allows a game or gameful application to recognize what challenges the player or user has already completed and adjust the difficulty level of the next challenges accordingly to the current user skill. 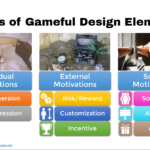 The best well-designed games or gameful applications are able to begin with small and easy challenges for new players or users and increase them in size and difficulty at exactly the same rate as the player or user becomes more skilled. One of the mechanics that is used in many games to implement progress is experience (or points, or experience points, or XP). It is particularly common in role-playing games and it has been also frequently used in gameful design. However, what do in-game experience points represent? Let’s remember that progression should be designed in a game to recognize the challenges already completed by the player and offer new challenges that are adjusted to the player’s current skill. This is the purpose of experience points and levels in role-playing games: as the player completes more challenges, she earns more points and levels up; that in turn allows her to face more difficulty challenges, usually by unlocking additional content. But points and skill are not the same thing and don’t always increase together. Points are just one of the possible means employed to represent the player’s skill. But in different games, they work better or worse. For example, let’s imagine two players training basketball. Both players can shoot the ball into the hoop 100 times. After they both have shot the ball the same number of times, they will not necessarily have the same skill (accuracy). A number of factors, such as prior ability, learning rate, and employed effort, can affect the skill building progress. One can use the number of balls shot, or the number of points scored, as estimates of how much these players have trained, however, this is not a measure of their true skill. Their true skill is how accurate they are each time they try to score. In the same way, experience points in role-playing games are an estimate of the player’s skill to defeat the game’s challenges, but they are not the real player skill. And some games are more accurate in making this estimate than others. There is one particular realization of points and levels that I consider bad design: when players are forced to complete a number of repetitive tasks just aimed at collecting enough points to level up (an activity also known as grinding). If the player is forced to repeat a number of non-challenging tasks just to gather points, or even tasks which were challenging once but now the player has already mastered, the player’s actual skill progression is not accurately tied to in-game progression. The grinding activity is not actually helping the player develop their skills. It is true that many gamers face this grinding process in their favourite game because they are motivated to reach new levels and unlock new challenges, but it is also often the case that this grinding time is pretty boring. Thus, this is a bad design of game progression. This form of grinding is also often used to force players to spend more time in each level before progressing, to extend the total amount of time played (and give time to developers to create new games or expansions while players are busy with the grinding). However, although this can be useful for commercial purposes, it is still not a good design solely from the point of view of progression, and if things get too boring players can actually leave the game. On the other hand, some games are great at tracking players’ progress and unlocking new challenges or content without the need for grinding. One clear example can be seen in platform games, which usually unlock new levels as the player completes the current level–a nice measure of actual skill. Some role-playing games are also good at progress tracking. 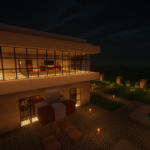 Experience points can be used in a good design as the game’s internal representation of player skill, but players should be less aware of them than the challenges they are facing. 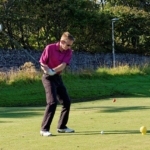 In good progression design, players should feel that new challenges are unlocked as soon as they complete the current challenge. Thus, good games balance the amount of experience points gained in a way that ties them nicely to the challenges players accomplish. Or they don’t use points at all. An example of an interesting progress design in an RPG can be found in Chrono Cross. In Chrono Cross, players don’t level up when they reach a certain amount of points. Instead, they level up (and also earn stars–another example of a nice mechanic tied with progression: badges) whenever they defeat a boss or complete an important milestone in the game story. Progress then flows nicely: whenever the player completes a challenge (boss battle) she is rewarded by that (star and level up) and new content (the next part of the story) is unlocked. (For more ideas on different ways RPGs can implement progress, see this interesting post by Game Make World). 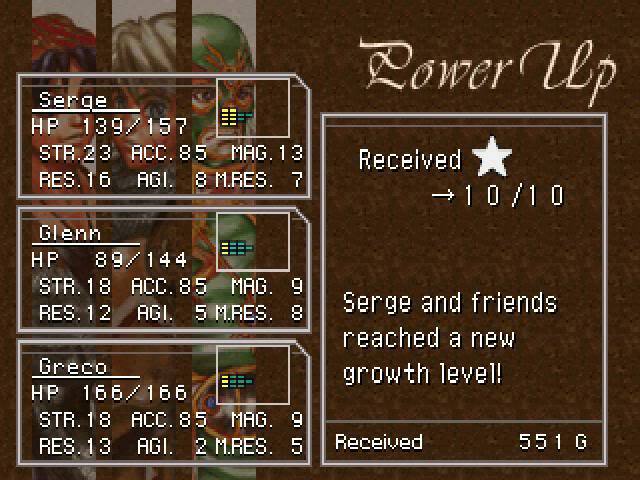 Level up screen in Chrono Cross (via Let’s Play Archive). Note how there are no experience points and the number of stars tracks how many bosses or main story arcs the player has completed. Which skills will the user be developing? What is the best way to keep track of users’ progress (increased skill)? What is the best way to adjust the challenges in the system according to the current user’s skill? The best way to keep track of users’ skill may be or not be experience points. It’s important to think carefully about this design decision and not just use XP because they are common. And most important is that, whatever the adopted solution, users should be more aware of the excitement in attempting to overcome unnecessary obstacles than in counting how many points they still need for the next level. Progression should be a seamless experience: users should feel that new and more difficult challenges appear as soon as they get skilled enough in the current challenge. In your system, you may also need to include some form of grinding to keep users busy with the same challenges for a larger amount of time before moving to the next challenge, in order to avoid them completing all the content too fast. But if you do this, remember that it is not part of the progression design element and it will probably not be motivating for the user. Thus, this needs to be adequately balanced with other intrinsic motivation factors. Otherwise, there is a significant risk that users will feel bored and less engaged with the system.